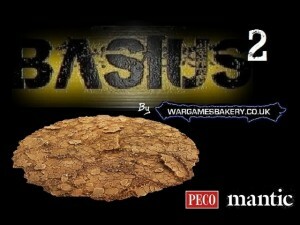 Wargames Bakery is running their Basius 2 Kickstarter campaign (electric boogaloo?). It's going well so far. They're around 7x funded already, with 27 days to go. 'Stamp & Create' 1000's of Individually UNIQUE & Incredibly Detailed Textured Bases + Whole Realms of Terrain, Scenery & Dungeon Tiles! Basius are negatively textured, double-sided Basing Pads cast in hard purple resin designed to allow gamers of all skill levels to create 1000's of varied professional looking textured bases.